Three excellent but different routes converge on the high Jebel Akhdar ridge. Walk one to suit your tastes and energies, or combine then for a memorable day. 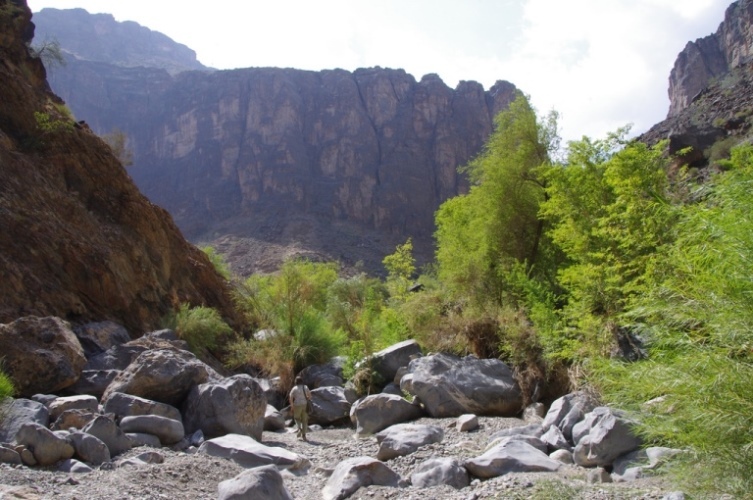 Jebel Akhdar is the magnificent heart and highest region of the Western Hajar Mountains. 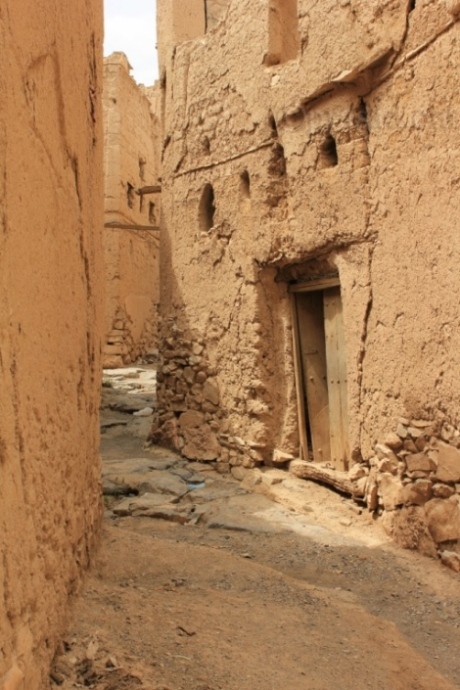 The Explorer guide’s routes W8, W9 and W10, in the mid-range north-east of Al Hamra, lead in on old paths from: Balad Sayt in Wadi Bani Awf to the north (W8); Sharaf Al Alamayn to the east (W10); and from the remarkable ancient village of Misfat al Abriyyin (well worth visiting in its own right, and you can stay here in old houses) to the west (W9), to meet on the high ridge (at around 2,000m) in the middle, so offer a number of different walking options to tailor to your wants, especially as they are varying nature and difficulties. W10 from Balad Sayt is a fairly straightforward high ridge walk with only 100m or so of altitude gain, with remarkable views over the vast wadis to the north, taking up to 2 hrs one way. 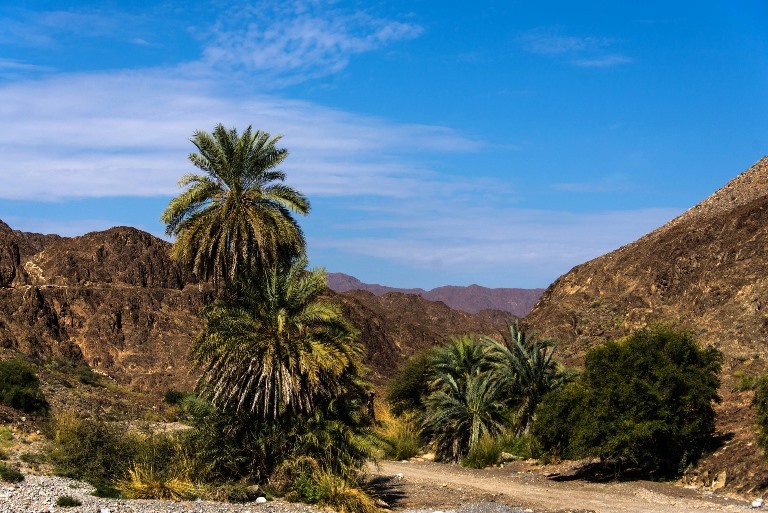 W8 from Sharaf Al Alamayn is a very demanding and in places exposed but thrilling 3-4 hr climb on an old track from Balad Sayt in its lovely valley to the high ridge (it is Walkopedia’s guide’s favorite Oman walk), gaining over 1,000m on the way. W9 from Misfat al Abriyyin is a long climb (5-6 hrs, gaining over 1,000m) on an old donkey trail from Misfat al Abriyyin near Al Hamra, again with superb views northward. You can either walk in and back if you need to get back to a car, or create a memorable day walk (of varying lengths – eg W10 then W9 would be 6hrs or so of walking – and difficulties, across the high, rough, magnificent mountains by joining the paths, which Wakopedia would love to do. 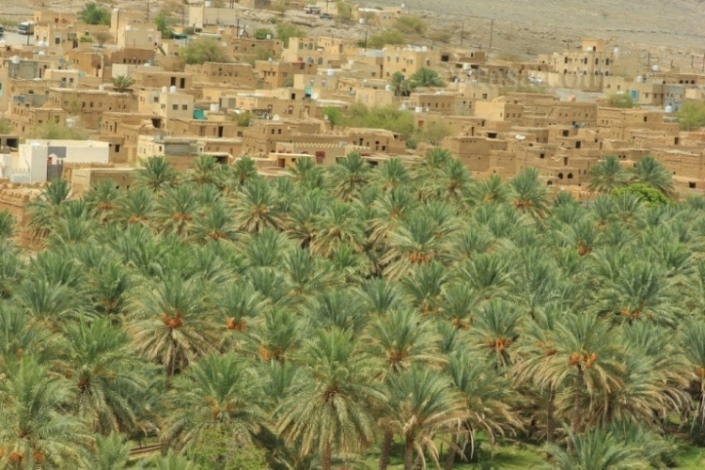 Oman Trekking (Explorer) and Adventure Trekking in Oman (Anne Dale and Gerry Hadwin) have worthwhile sections on these walks. Recommended. Find relevant books on Amazon.